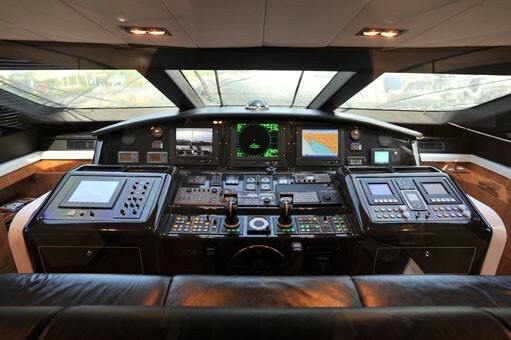 Luxury motor yacht SENSE is a Mangusta 92 built in 2007 by Mangusta (Overmarine). 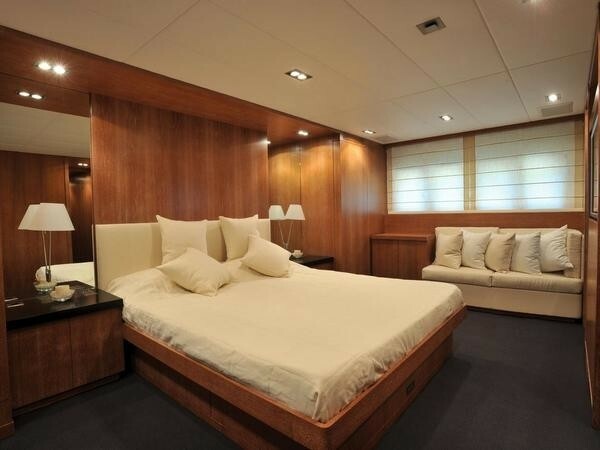 The yacht measures 28,00m (91' 10") and can accommodate 8 guests in 4 cabins. 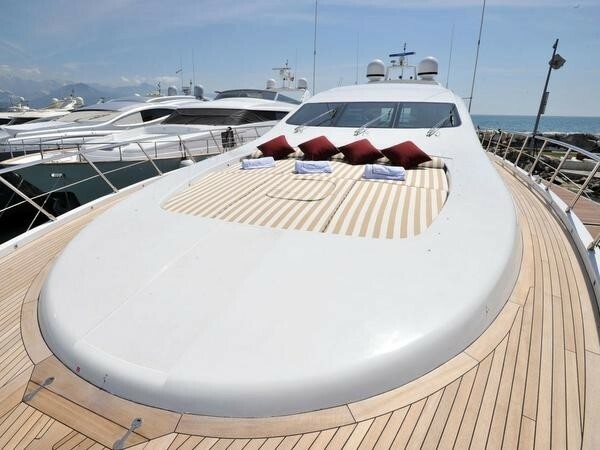 The yachts sleek design is eye catching and she features great manoeuvrability when coming into port with her water jets thrusting. 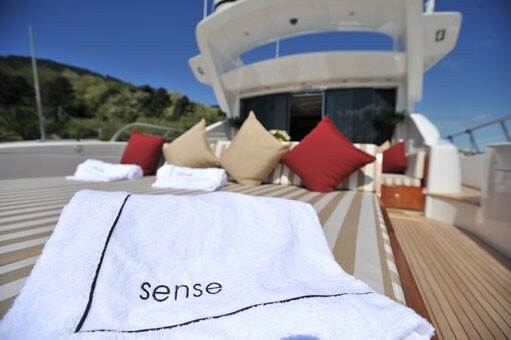 Motor yacht SENSE has an understated, sleek and elegant, interior finish. 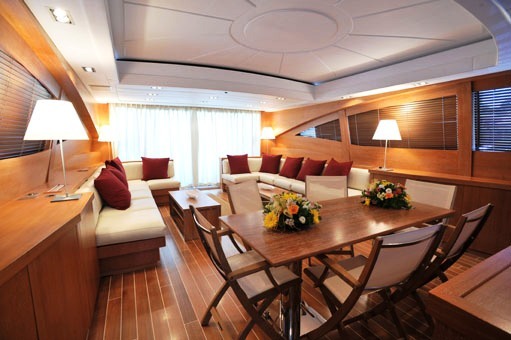 The salon layout features 2 L shaped lounges opposite each other as you enter from the aft. 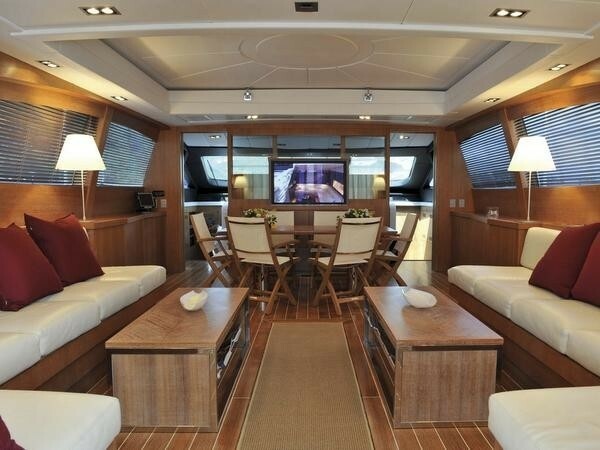 Further forward is the dining area. 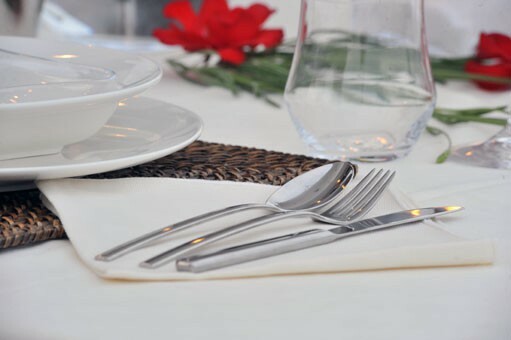 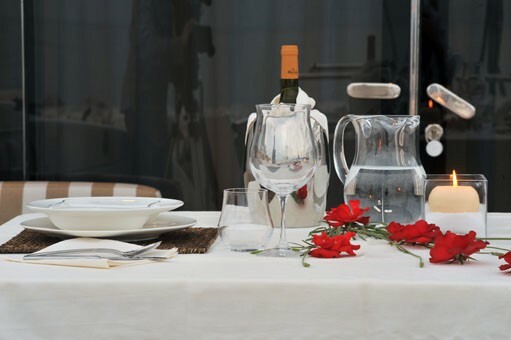 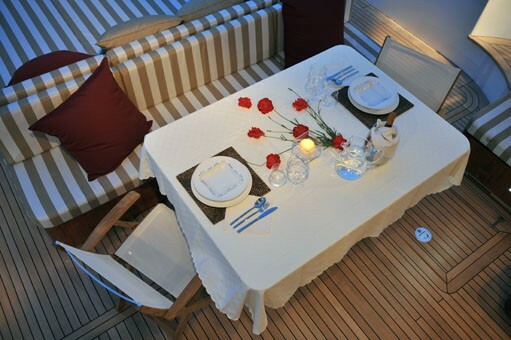 The comfortable furnishings and layout allows for casual living or a formal dining party for eight or ten guests. 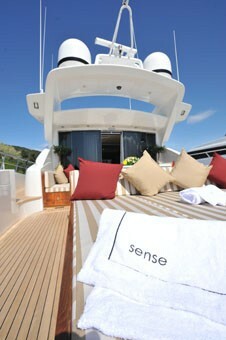 Luxury motor yacht SENSE can accommodate a total of 8 guests overnight and can cruise with up to 12 guests onboard. 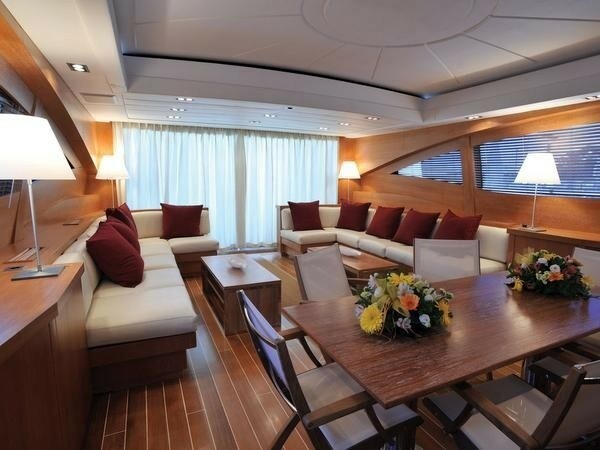 Her Master cabin is located aft and has no less than ten windows giving, a light bright and spacious feel. 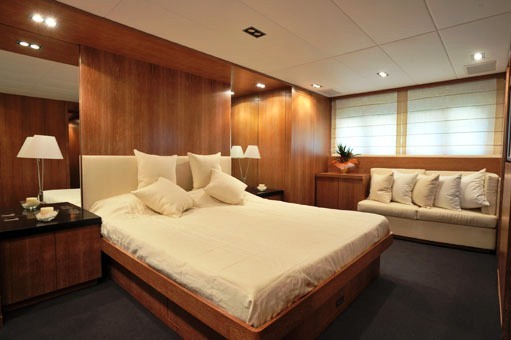 Alternatively, blinds may be lowered for a more intimate atmosphere and privacy. The shower in the ensuite of this cabin is large enough for a two people. 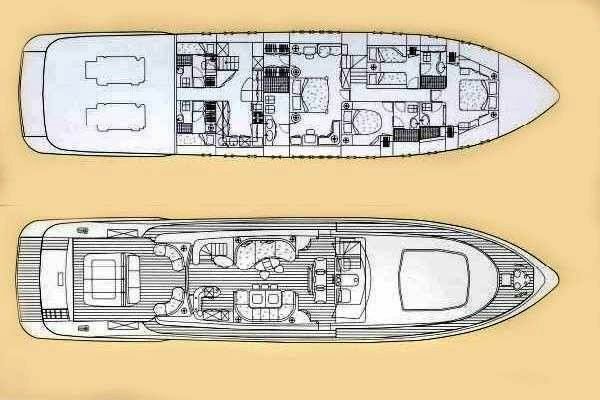 There are 3 further cabins, including a VIP, a triple and a double cabin. 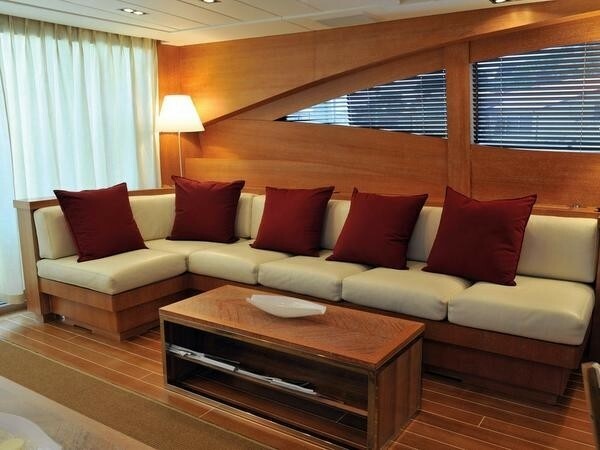 All share a common hallway with access via the staircase to the saloon or through a door directly into the galley. The Crew quarters are completely separate and independent. 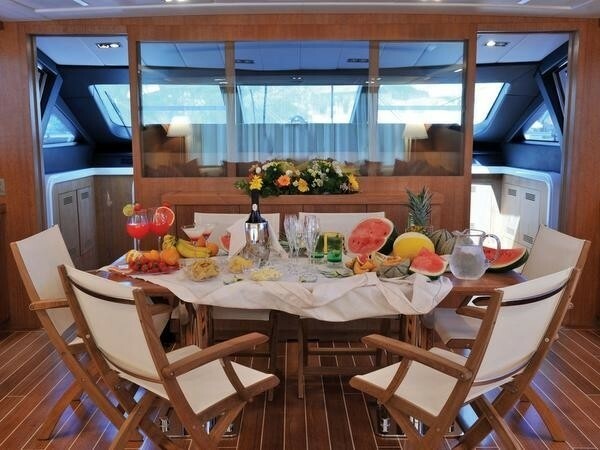 Charter yacht SENSE also has an impressive outside deck area with sun beds on the foredeck complemented by a flexible a flexible sun bed aft that converts into a large dining table and teppanyaki grill in the evening or over lunch which can be shaded by oversized twin parasols. 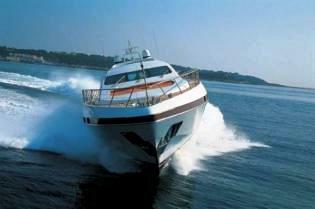 Motor boat SENSE can attain impressive speeds of 30-36 knots with her two 2400 HP MTU Engines. 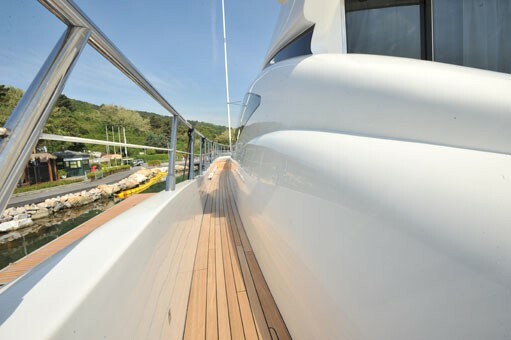 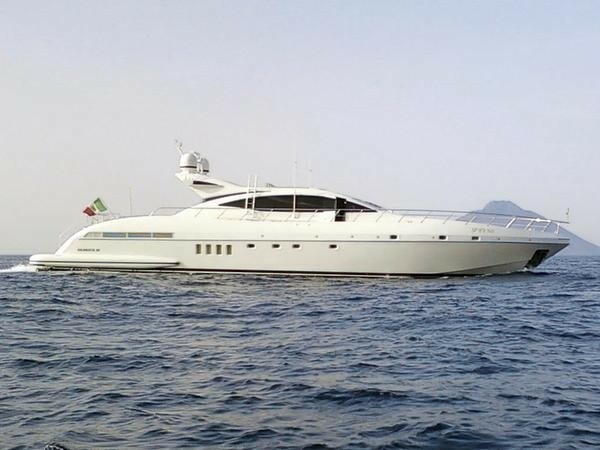 The craft has a crew of 4 and will be available from Naples but very flexible in deliveries to Sicily, Rome, and Sardinia etc. 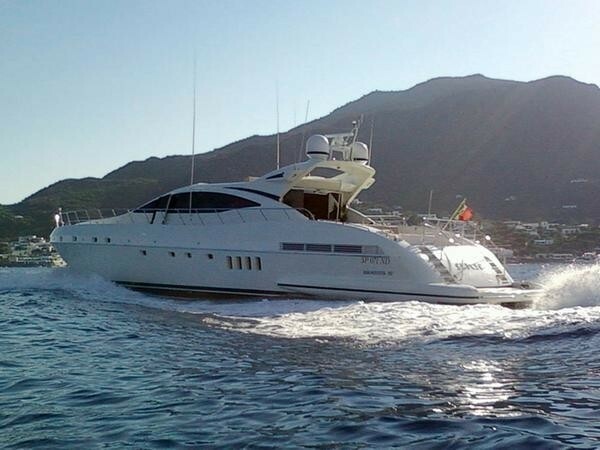 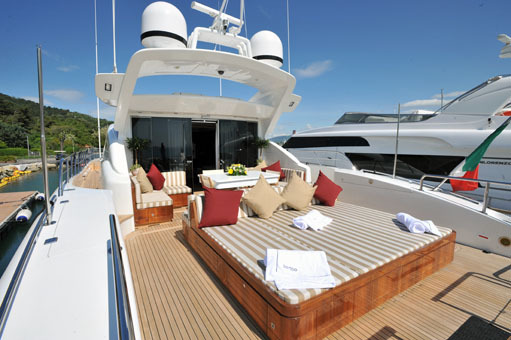 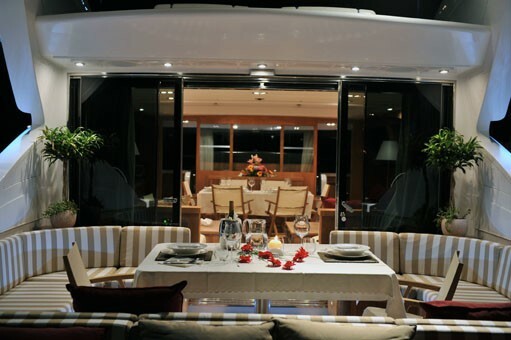 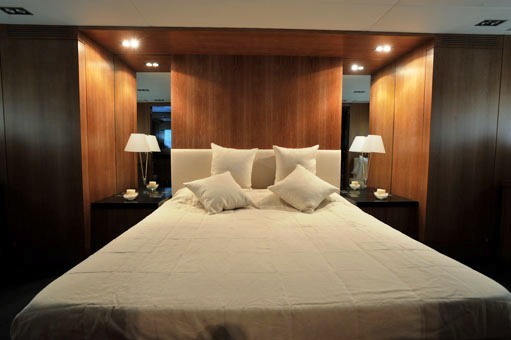 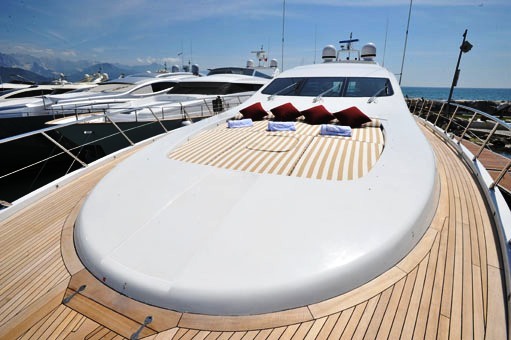 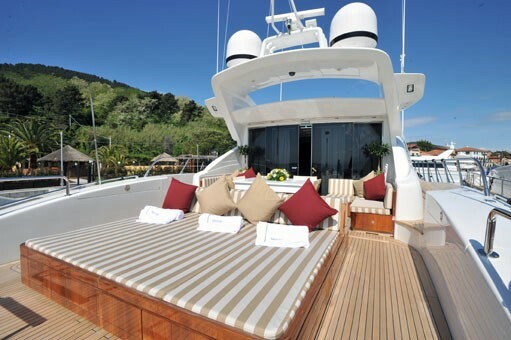 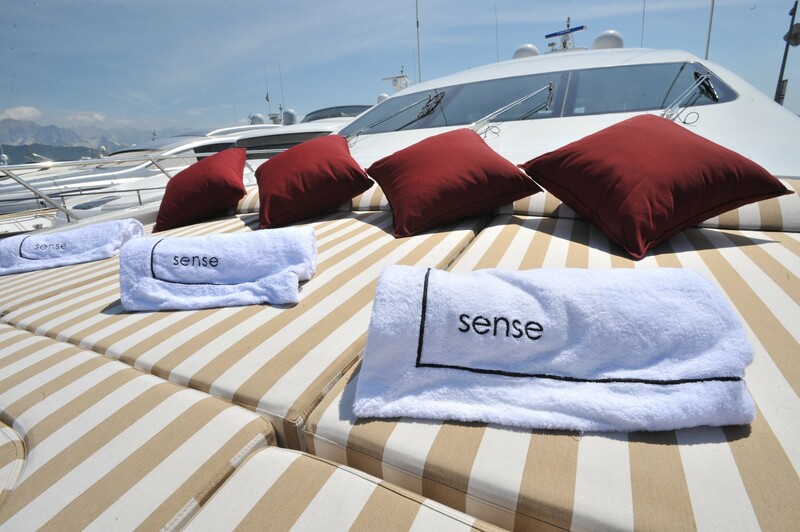 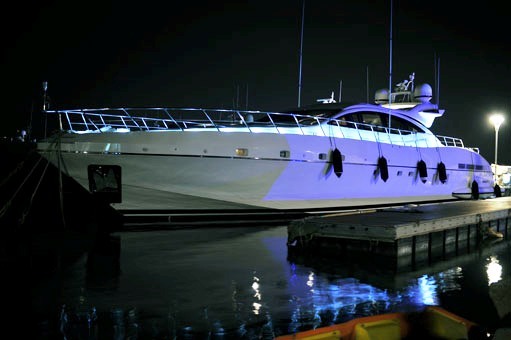 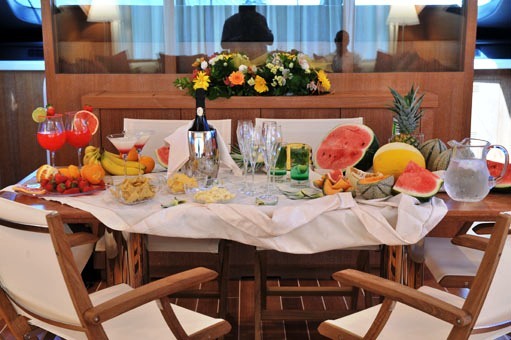 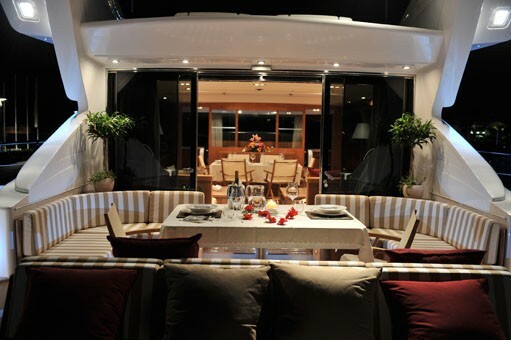 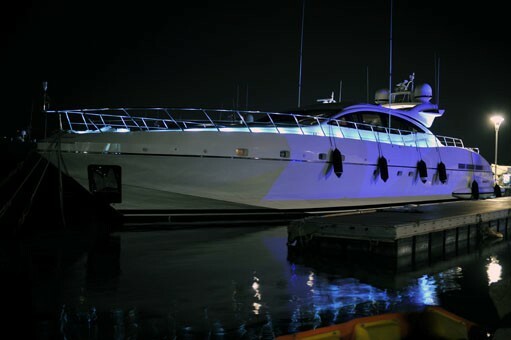 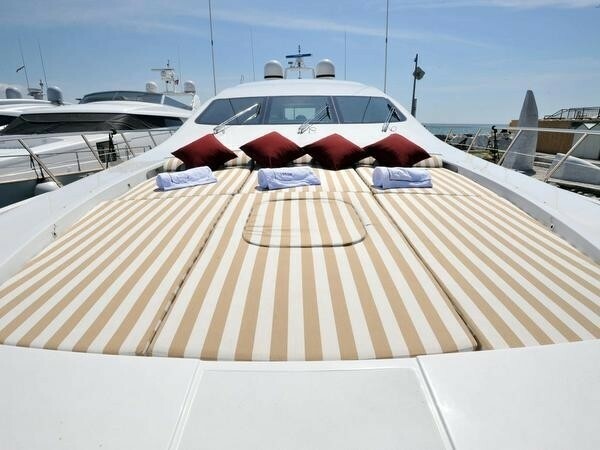 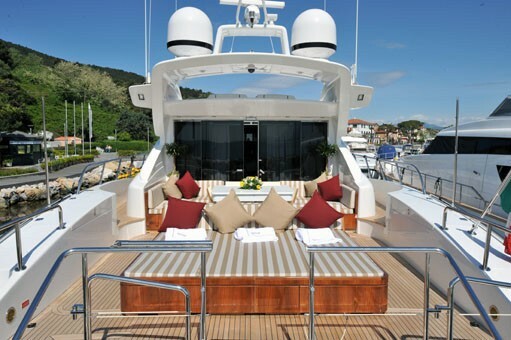 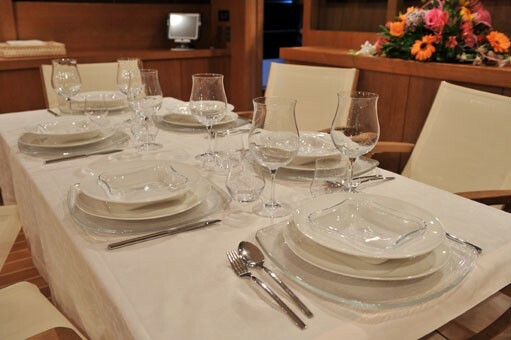 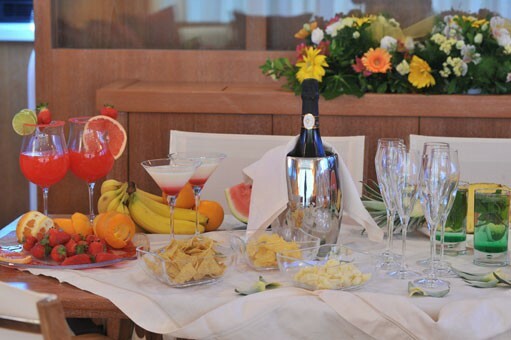 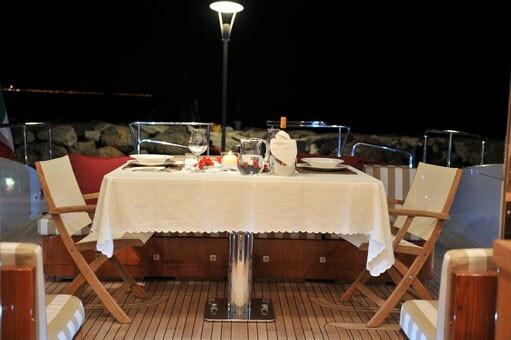 Luxury motor yacht SENSE can accommodate a total of 8 guests overnight. 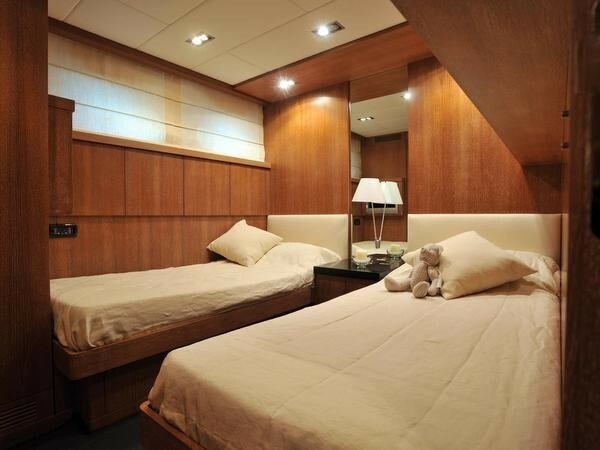 Her Master cabin with a king sized bed double bed is located aft and has no less than ten windows giving, a light bright and spacious feel. 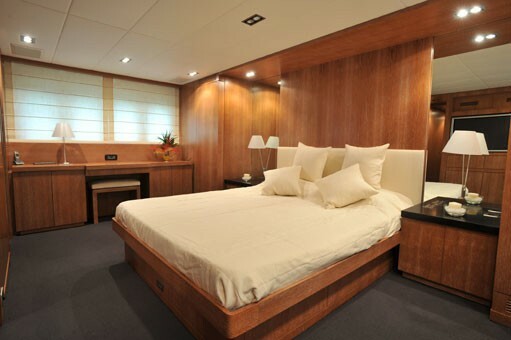 Alternatively, blinds may be lowered for a more intimate atmosphere and privacy. 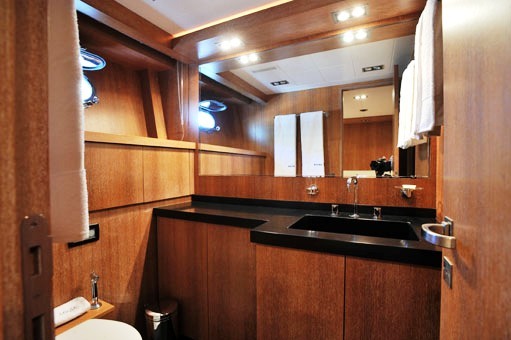 The shower in the his and her ensuite of this cabin is large enough for a two people. 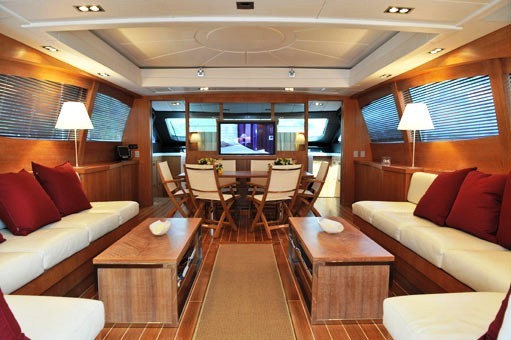 The master cabin also features an LCD TV, DVD player, hi-fi system with ipod, and a Sat connection (SKY). 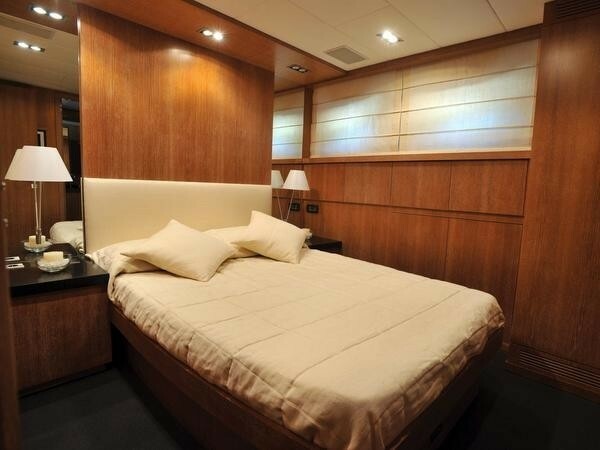 There are 3 further cabins, including a 2 VIP suites with Queen size / double bed, ensuite bathroom, LCD TV, DVD player, hi-fi system with ipod, and a twin suite with third pullman berth, ensuite bathroom, LCD TV, DVD player, hi-fi system with ipod. 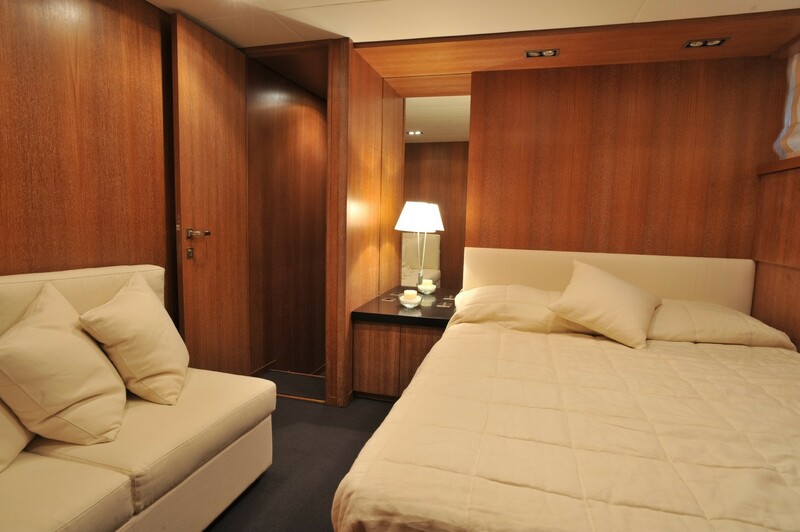 All cabins share a common hallway with access via the staircase to the saloon or through a door directly into the galley. 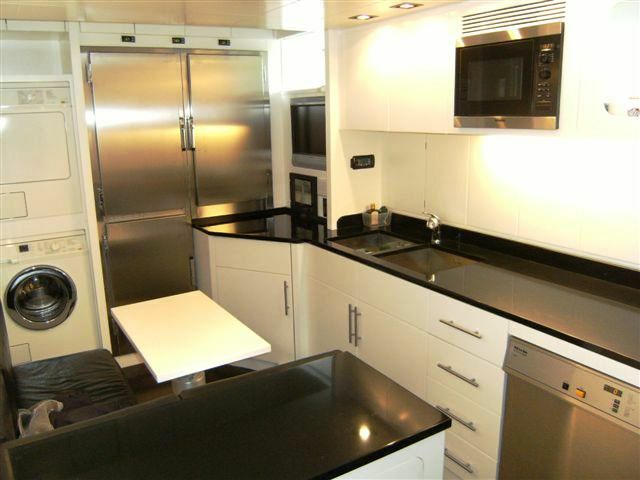 The Crew quarters are completely separate and independent. 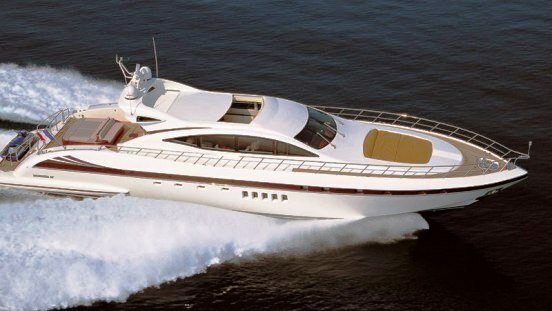 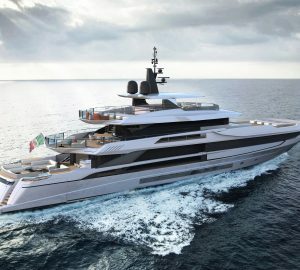 The Mangusta 92 motor yacht SENSE has the following Tenders and Toys onboard: A 4.70 mt Zodiac hydro jet tender with 140 hp engine, several inflatable’s: such as a canoe and donut and Snorkelling equipment. Communications onboard include Wi-fi internet connection available upon request. 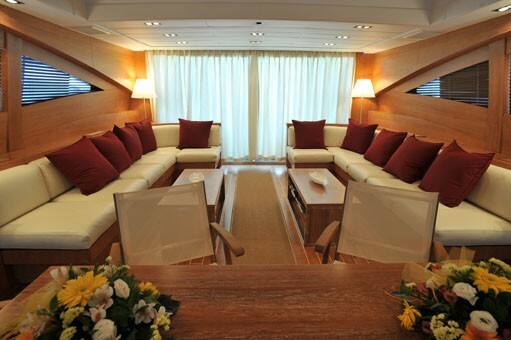 Audio Visual Equipment and Deck Facilities include an LCD TV in each cabin and in salon with DVD player, hi-fi system with ipod (independent in each room). 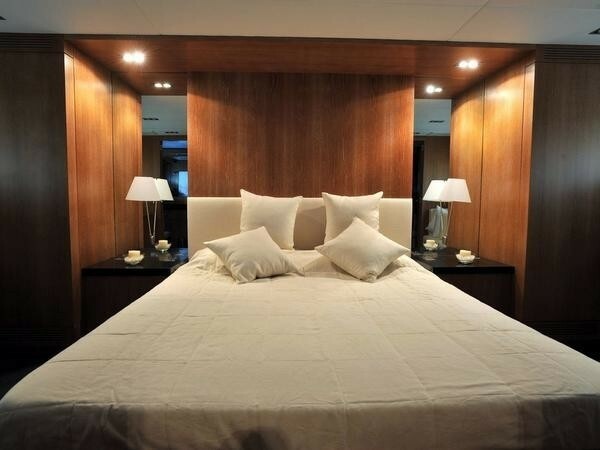 Owner suite and salon have SAT connection (SKY).